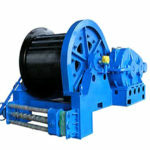 1 ton winch can be supplied by Ellsen and it is popular in the market. They are widely used in the construction of bridges. As the volume capacity of the machine means, it can drag or hoist the goods about one ton. 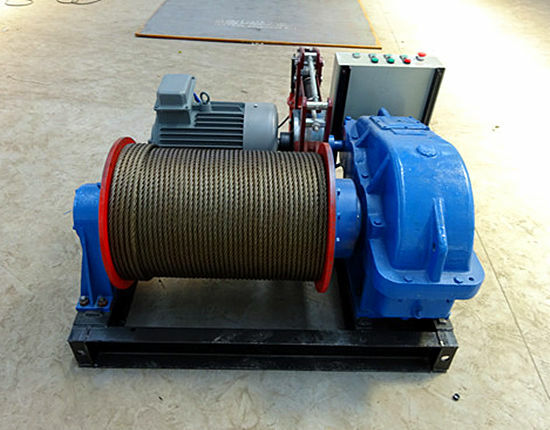 Our company can provide various kinds of winches in different sizes and specifications. 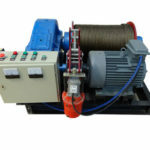 1 ton electric winch is a relatively small winch in the rated load. Other than used in the construction site and factory, it also can be used in the boat or coat to tow or drag the boat. 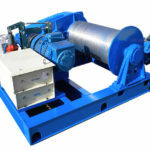 No matter in the construction site or factory and in the boat, the electric winch always is an important part in it. 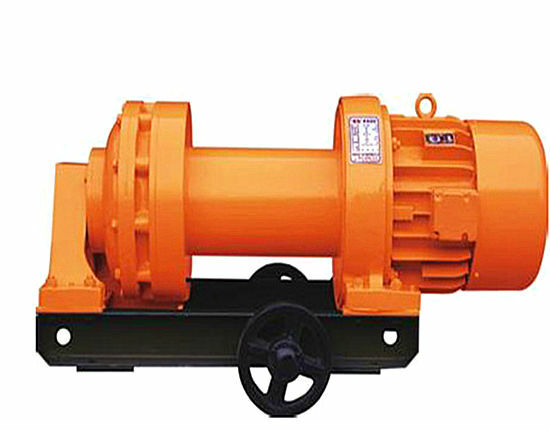 JM one ton winch is a kind of electric control slow speed winches. 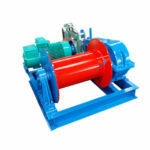 Here is some basic information of JM series winch. Generally speaking, the rated speed is 15 meters per minute. The rope capacity is 100 meters. The electromotor power is 3 KW. It also can be used in the construction site and the installation of many factories. Winch one ton of JK series is also electronic control high speed winch. The specialty of JK series winch is that it has quick speed. It is widely used in the material lifting and movement in the construction site. It is also can be used in the installation of construction project and medium equipment. 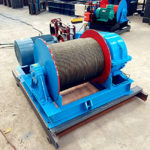 This kind of winch is designed with high technology and science structure, and it has many advantages such as compact structure, stable performance, convenient operation, easy maintenance, low noise and long service time, etc. Professional engineers and skilled workers. Ellsen group is located in the center part of China which is concentrated on the construction machinery equipment. It is the center of construction machinery equipment construction in the place where our company is located. Our company has professional engineers and skilled workers who have made great contributions to our company. Our company has more than thirty engineers and three of them are the drafter of Chinese winch standard. The engineers are responsible for the installation and test of the machine. They always go abroad to install and test the machine until the machine is in good working conditions. Our company tries our best to build a world famous brand. All of our company always put customers first and provide best service to customers. In order to establish a world famous brand, all of our staffs work hard to provide reliable products all the time. The price of our machine is very competitive and reasonable. As a company in developing countries, it has more advantages in the cost on labor and raw materials so that the price is competitive and reasonable. It is a fact that the perfect after sale service will give the customer excellent after sale service. The after sale service will give you much convenience to customers. However, if the after sale service is bad in a company, the customers will be in large loss once some troubles happen. In order to avoid this problem, our company pays much attention on the after sale service and make sure the customers at ease if they are interested in our machine. Except for winch products, we also provide overhead cranes, gantry cranes, jib cranes, hoists, travel lifts and electric transfer cart and so on, if you are looking for a piece of lifting equipment and would like to get a reliable one, please just contact us for your customized product.